Welcome to Day #11 of Ecuador Theme Week, and Day #2 of Nibs Theme Week. But who's counting, right? 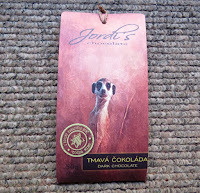 I was delighted to try a dark chocolate single origin bar from one of the first (this century at least) Czech Republic craft chocolate companies, Jordi's Chocolate (Hadrec Kralove, Czech Republic). 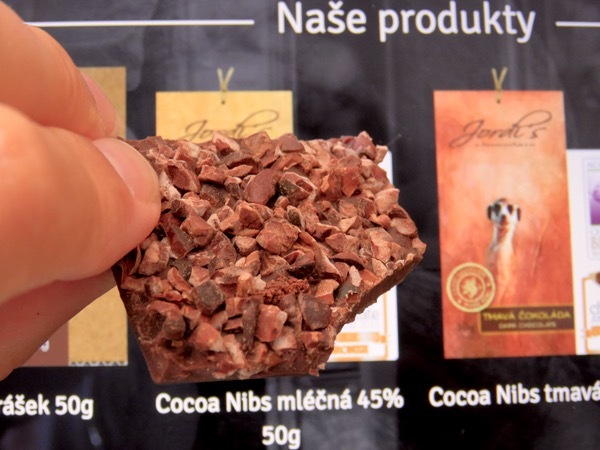 The company opened a chocolate parlour in the summer of 2010, and expanded their operations with a chocolate manufacturing facility in 2012. 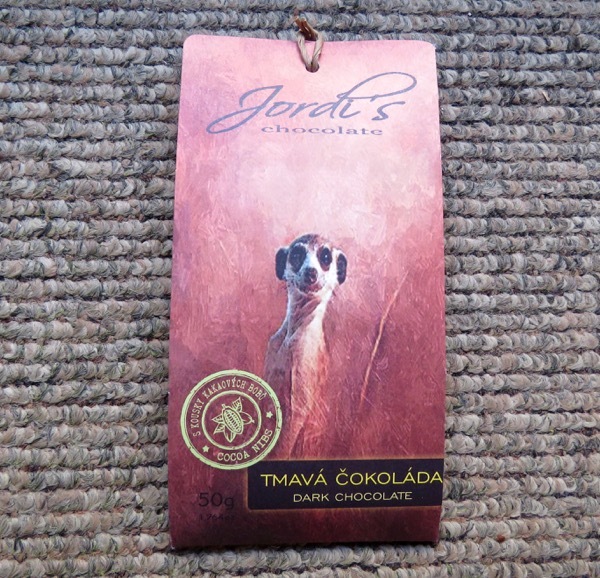 I was able to obtain this bar thanks to a subscription from Cocoa Runners (UK), an outfit similar to a wine club that searches the globe for craft chocolate bars. Their selection philosophy: "Many are tasted, few are chosen." Back to today's dark chocolate bar...an Academy of Chocolate Bronze Award winner in 2015. "Dark chocolate with cocoa nibs. Smooth tones of coffee and red fruit. The result is quiet and live chocolate at the same time." The bar held up well as I re-tasted the bar throughout the day. 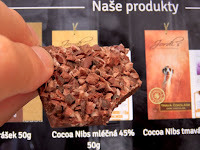 And the nibs added depth and texture and a pleasant crunch, with well-balanced flavor, helping to balance the sweetness nicely. 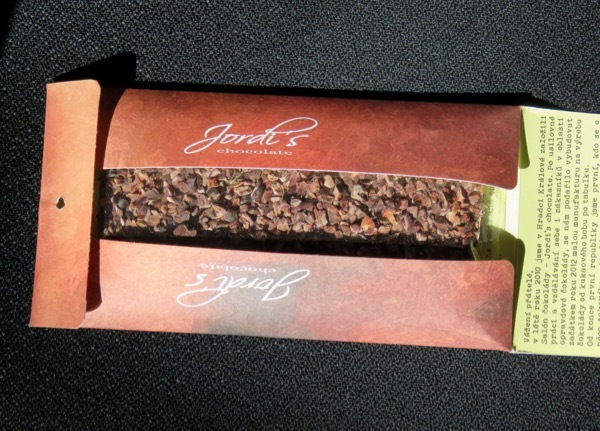 The inside packaging contained the story of the company and a brief description of two other bars (a white chocolate bar and a milk chocolate bar—also adorned with the image of a wild animal). The meerkat peering out at us on the front of the package lives in South Africa. These engaging and curious animals, seem to be always scanning the horizon, on the alert for predators, and planning food forays into nearby areas. Sounds like certain chocolate hunters I know.